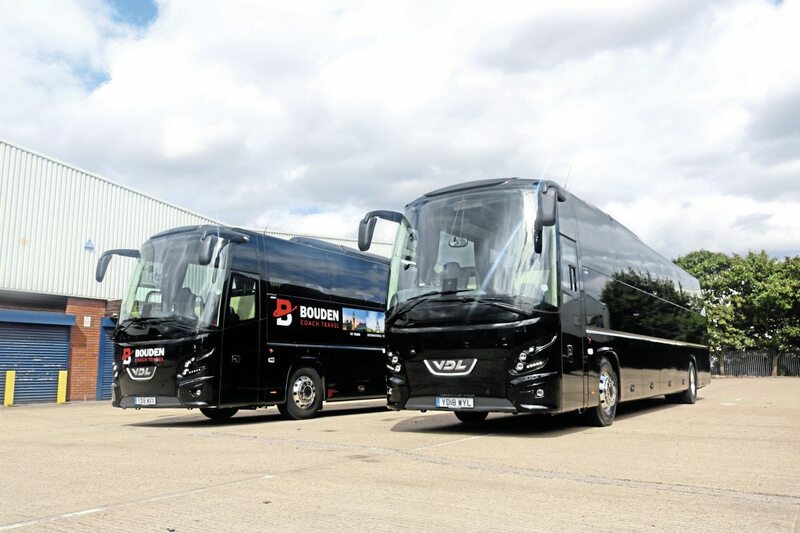 An array of new vehicles has entered Bouden Coach Travel’s fleet. But what is behind this influx of 18-plates? Five years is not a long time in this industry. 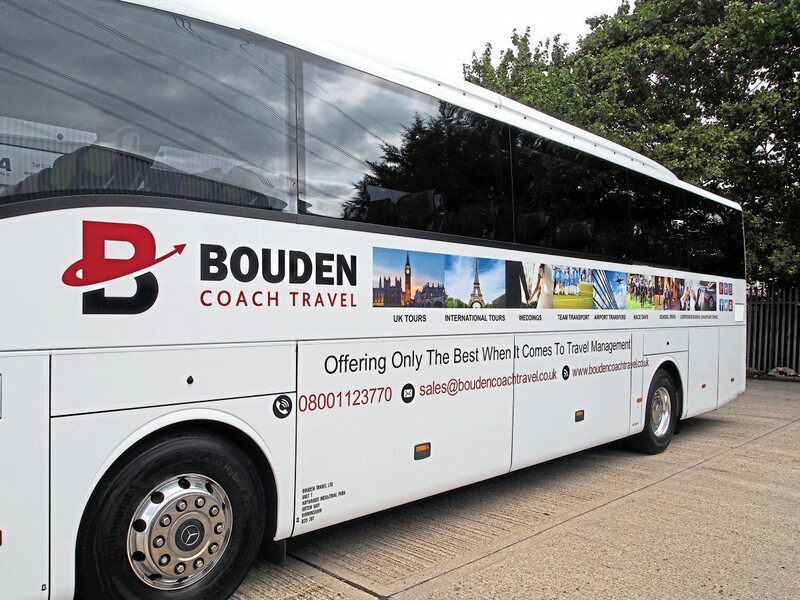 However, it has proved enough time for Birmingham-based Bouden Coach Travel to grow its operations expansively; increasing its fleet size from a single minibus to what it is now, at 12 vehicles in total. 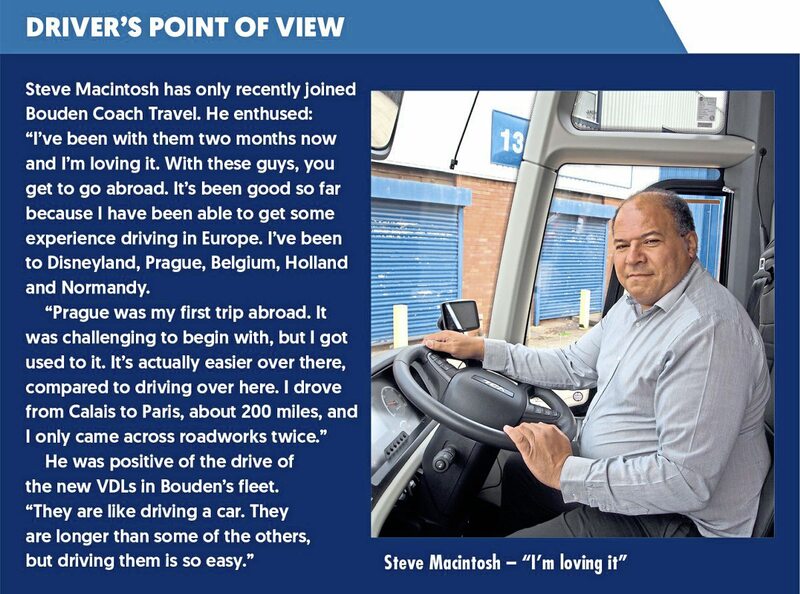 Readers may have noticed the operator has appeared in the Fleet Additions section of this magazine at least twice in recent months, having added some new vehicles to its fleet (more on its new additions later). The company is certainly thriving and what’s more, it’s growing. But where did the business come from? Bouden was formed in 2013 by its Director, Adel Bouden and his wife. Adel was not unfamiliar with the industry, having been a driver before forming the company. In those early days, the operation started with a single minibus. Originally, it was disaster recovery and corporate hire work he was carrying out. Hannah Moore, the company’s Sales and Marketing Assistant, said the company built up from there. Although Hannah’s job title is Sales and Marketing Assistant, she wears many hats in the office, taking care of many day to day tasks in the running and promotion of the business. For instance, she drew on her arts and media training from college to design the livery emblazoned on some of the company’s coaches. She originally joined the firm as a marketing apprentice, working through that position and taking up her current, senior role. A significant development was when Bouden won a contract from Monarch Airlines to provide chauffeured cars. The operator is ideally located for this kind of work, being approximately five minutes’ drive from Birmingham Airport. The company offers airport transfer and flight transfer services too. When it was announced last October that Monarch had been placed into administration, Bouden was involved in the operation to organise the homecoming of what was 110,000 passengers. Over a two-week period, multiple chartered flights were put into place, as were flight diversion services to help these passengers. During the ensuing chaos, the operator was involved in moving passengers to different airports throughout the UK. Over this time, its coaches were on stand-by 24/7 to coach passengers when needed. Over 280 vehicle movements took place over the course of this operation. Bouden was in charge of the midlands area of the operation, seeing it coordinate the other 40 coach companies involved. It placed an on-site coordinator at the airport, who directed passengers, other coach operators and airport staff during the operation. It deployed not just its coaches for this, but its cars and minibuses too. The coordinators were joined by ground handlers to oversee the smooth passage of the estimated 22,000 passengers that came through Birmingham airport. Hannah explained the firm specialises in serving business and corporate clients in the main. Its fleet reflects this, with the majority of the vehicles, both cars and coaches, bearing the three-pointed star of Mercedes-Benz, a marque imbued with an aura of quality and luxury befitting this type of work. 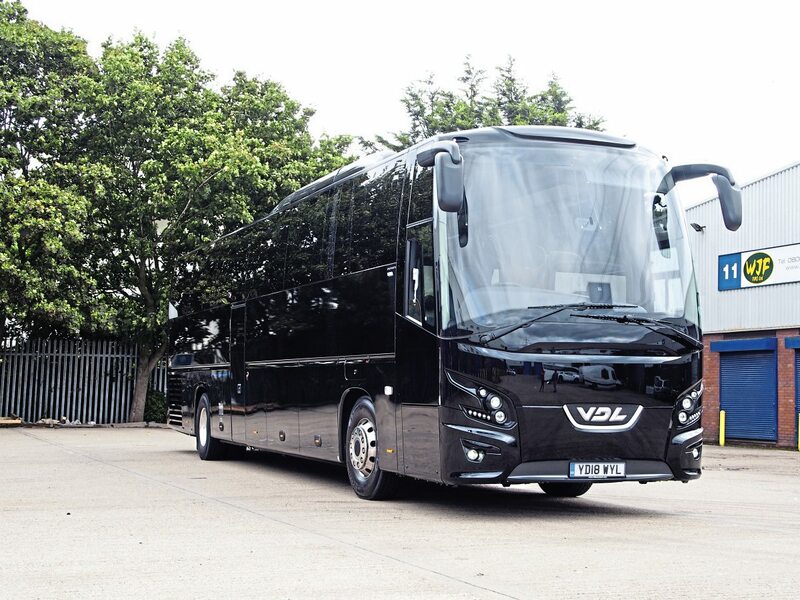 However, Bouden is not entirely wedded to this brand, having recently shifted away from this buying practice and adding two brand-new VDL Futuras to its fleet, a 57- and a 62-plate. The first took residence at its depot in May this year, with the other following in June. VDL is able to achieve such a high capacity with only two axles through a lightweight design. This is another reason why the operator decided to make the move to the Dutch marque. 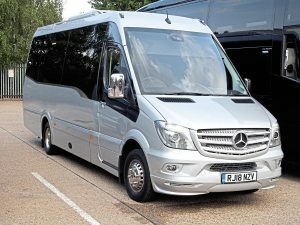 The vehicle itself is to the operator’s usual executive specification, featuring back of seat, flip down tables with cup holders, as well as USB charging ports, toilet, climate control, PA system, bespoke part leather seats, reading lights, fridge, entertainment package and to add that extra touch of luxury, executive tinted glass. 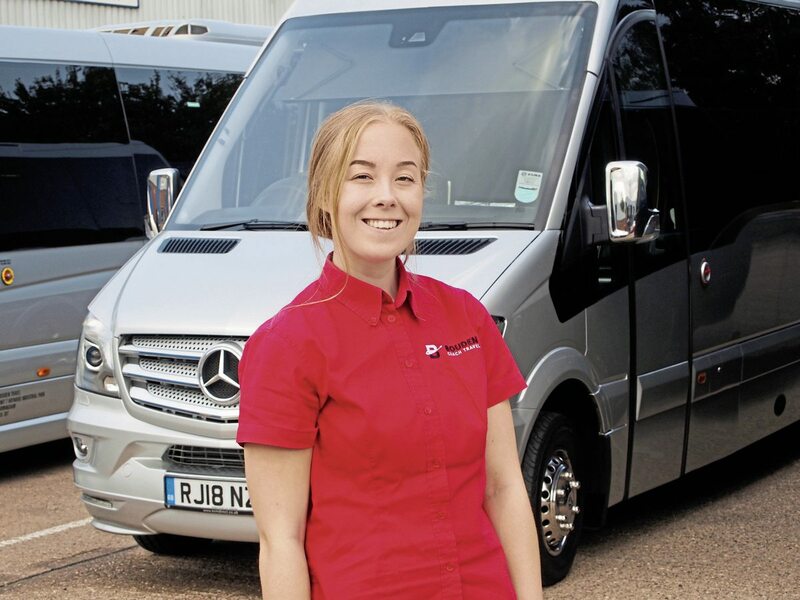 Adel went to the manufacturer’s headquarters to bespoke design the coach, which was another factor Hannah said drew the company towards going for VDL. Moseley Coach Sales supplied the Futuras. 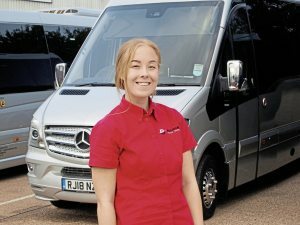 Hannah said: “We had always stuck with Mercedes-Benz and had always used EvoBus for them. But we found that if anything went wrong, we found it could be expensive because it’s the premium brand. Also, our director wanted a change, to see what else was out there. It has not just full-length coaches Bouden has been buying this year. The company has also added an EVM Grand Tourer to its fleet. Staying true to its Mercedes-Benz roots, the coachbuilt is based on the Sprinter. The minicoach is to executive specification, with 19 leather seats, USB charging points, twin monitors, rear boot and side-lockers. it is powered by a Mercedes six-cylinder engine coupled to a seven-speed automatic gearbox. These new vehicles, along with the rest of its fleet, are serving its corporate customers. However, over the years the client base has expanded outside of the corporate sector and it has branched out into transporting other clients, with sports teams and events a niche it has found for itself. Its drivers often meet famous faces, transporting the athletes themselves from multiple different locations across the UK. It has gained an international operator’s licence so it can transport these new customers abroad as well; handy for fixtures overseas. Bouden recently transported the California Cricket Academy (CCA) during its UK tour. The operator accommodated the CCA’s travel throughout the country. it upgraded the vehicles to its more luxurious minibuses and coaches. It had to meet the requirements of extra luggage space and a toilet onboard for longer journeys. Used to transport the team were its Mercedes-Benz vehicles, including Tourismos, Sprinter-based minibuses and Atego midicoach. It assigned a dedicated account manager for the job. Other sporting clients include Birmingham City University and Birmingham City FC. 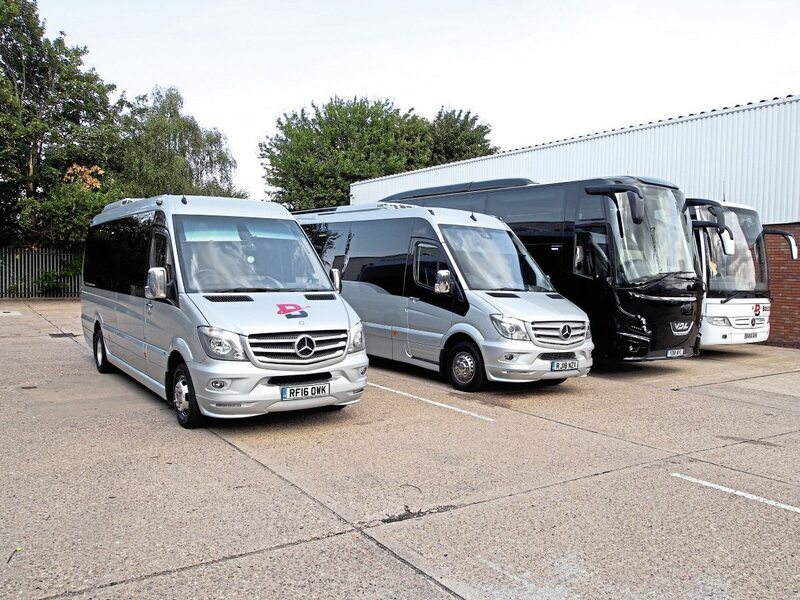 Although the corporate side tends to be where its work comes from, it aims to serve anyone wanting group transport, with executive and luxury coaches to budget vehicle hire. It has national reach, providing its service anywhere in the UK. It welcomes any group size, large or small. Hannah said Bouden has become more than just an operator that provides a vehicle and driver. The business has become a travel management company, not just providing the transport but doing things like booking tickets to sporting events for the group as well. 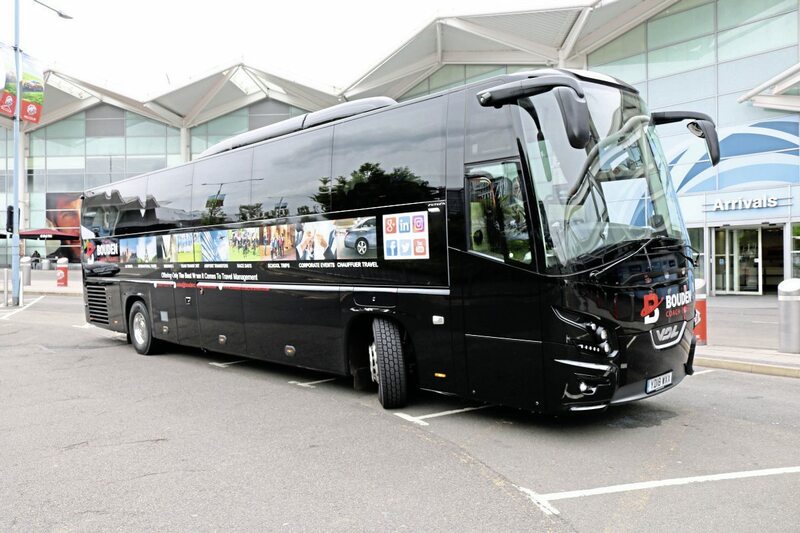 For example, during the time of writing, the company was promoting minibus hire to the Anthony Joshua versus Alexander Povetkin boxing match at Wembley Stadium. Hannah said: “We often have people phone up and say, ‘We’ve got this many people and we want to go to Royal Ascot.’ We will get on the phone to our contacts over at Ascot and get the tickets booked for them and arrange the transport. Helping its operation run smoothly is its tracking system, provided by Verizon Connect. The system can be accessed from anywhere with internet connection, provides detailed maps and user dashboards showing trends by team, department or across the entire fleet. Bouden’s depot is based at Haywards Industrial Park in Birmingham, a short hop from the city’s iconic Fort Dunlop. 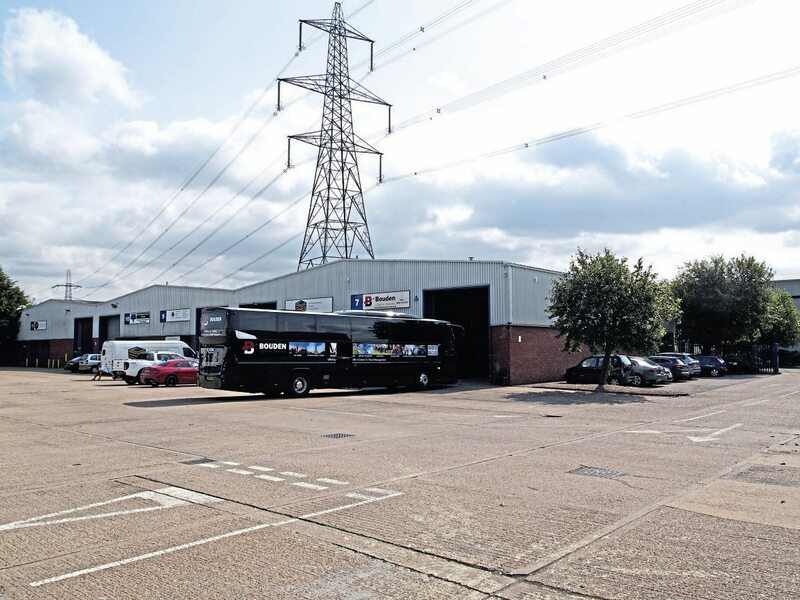 It is an ideal location for its work, being a stone’s throw from the M6 for access to the country’s motorway network, as well as being close to the airport and Birmingham city centre. This is something the firm takes seriously. On its website, it states it strives to not only live up to customer expectations but to exceed them. As part of this emphasis on customer satisfaction, its quotes are all transparent so they can see exactly what they are paying for. This should help customers budget for their transport plans. If the booking is more complex, it asks customers to contact them to go through travel plans and to arrange the travel with them. If its services are delayed through road works or heavy traffic, it endeavours to communicate directly with clients. As well as the regular safety checks, as can be expected, the operator also puts emphasis on thoroughly cleaning its vehicles before every hire. Also to ensure coaches carry healthy passenger numbers, Bouden uses the services of Don’t Travel Empty and Coach Hire Exchange. The former helps operators fill coaches on legs of journeys that would not normally have passengers, therefore increasing earnings. The latter is a cloud-based passenger recovery and job exchange service for coach and minibus operators. In addition to this, the operator also has a trusted network of operators it works with to help take care of work. She said: “It can be stressful making sure the transport runs properly, especially if something goes wrong, like a battery dies or a tyre blows out. One noticeable thing about the staff at Bouden is how relatively youthful they are, just like the five-year-old company itself. The fleet too is young. Earlier this year, B&CB reported on operators that have reached significant milestone years, including a century in business. Bouden Coach Travel has a long way to go before reaching such significant birthdays, but signs are that it aims to forge ahead in the future.